To the north of the Rye Road out of Hawkhurst along White's Lane stands Duval's Farm. On the north side of the road is a timber framed barn probably of late 16th century construction while on the south side stands the white weather-boarded farmhouse. The name immediately suggests a French connection but how could this arise in Hawkhurst? During the 16th and early 17th centuries religious persecutions on the continent resulted in many protestants of French descent emigrating to this country. Most settled in the larger towns such as Sandwich and Canterbury but some found their way into the countryside, particularly those in trades related to the iron industry. So it was that one settled in Sandhurst and his burial was recorded in the parish register in October 1610: Robert Dervale, a frenchman. His exact origins are unknown but when he died, his family of three sons, John, Thomas and James, and two daughters were all resident in Sandhurst. His daughters married local men there shortly after his death. All three sons were colliers, or charcoal burners, by trade and it seems that the family came into the area seeking employment from the ironworks which were in operation in Hawkhurst very close to the present Duval's Farm, and similar forges and furnaces in other parishes nearby. Robert may also have been a collier, but whatever his trade, he was clearly a hard-working and prudent man. He owned neither house nor land when he died but was a moderately wealthy man, his estate being valued at over £234 at his death, mostly in the form of money lent out (1). Charcoal burners were not, as is often thought merely manual labourers, but skilled craftsmen, and the family were clearly well-off by the standards of the day. Perhaps a sign of their status and respectability is the fact that one son, John, married Bridget Alphey, daughter of a yeoman farmer in Benenden, in 1616. For a detailed description of charcoal burning visit this website. Boggam is almost certainly a furnace which operated on the site of Burgham Farm in Etchingham parish, sometimes referred to as Darfold Furnace (2). 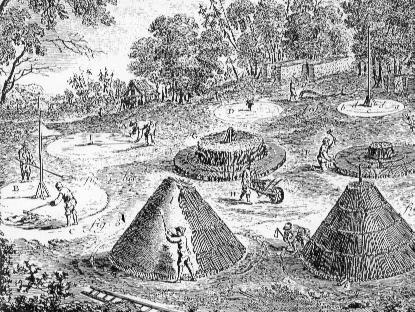 Forges and Furnaces which the Duvals could have supplied charcoal to. Such commitments would suggest that he had many colliers working for him in several parishes since the brittle charcoal was usually produced in coppiced woodlands close to the iron-working centres to minimise carriage and consequent spoilage (2). The management of such a widespread workforce, the leasing of woodlands and the arrangement of contracts all point to well developed business skills. Presumably he would have been assisted by his two brothers, John and James. The three of them must have been a major force in the trade on the Kent/Sussex border although they all died within a decade of each other in the 1630s. Thomas had prospered sufficiently to possess his own house at his death in 1631 (3). John bequeathed land called "Tillies" to his son, John, and his legacies totalled £150 (4). This holding of land can be traced on the Sandhurst Tithe map as a compact block of about 16acres on the western side if Hernden Farm (5). It was John's son, another John, who moved to Hawkhurst in about 1640, leasing a house near Philpott's Cross (7) and purchasing the farm which now bears his name soon after. Between 1646 and 1664, the christenings of six of his children are recorded in the Hawkhurst registers. 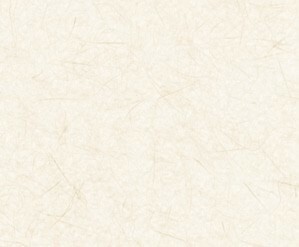 From a total of 10 children known to have been born to his two wives, only six survived him, a daughter, Rachel dying at the age of seven years old in 1662. John 'Deval' seems not to have been associated with the iron industry but to have settled for the life of a farmer although when he died in 1672 he described himself as a clothier (8). He owned only 18 acres of land (although he may have leased more) and so he needed to supplement his income by organizing the spinning and weaving of some of the local wool into cloth. If 18 acres was all the land he farmed, he managed to fit in a wide range of crops, growing oats, barley, and peas with hay and pasture for his animals. He also had all the necessary equipment to grow, harvest and dry hops, and part of the barn on the north side of the road was used as an oasthouse (9). This was before the days of the familiar chimney or cowl, and the hot gases and fumes from the charcoal fires, used to dry the hops, escaped through a hole in the gable end of the building. In addition to all these crops, he would also have needed some space to set up hurdles and tenter frames to dry washed wool and the fulled cloth and the field next to the farmhouse still retained the name Tenter Field in 1838 (10). 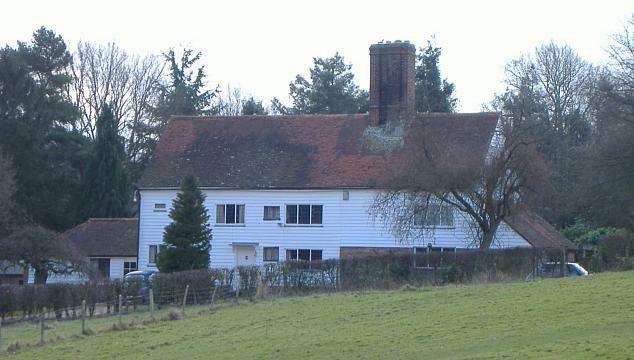 The present farmhouse was almost certainly built for or by John Deval when he moved into Hawkhurst in the early 1640s. Examination of the framing of the present house shows that it was rebuilt at about this time around a much older hall-house. The two chimney stacks now in the house were also built at this time and provide flues for five fireplaces. John was taxed for five hearths in 1662 (11), so we know that the present house is much as it was constructed in the mid seventeenth century, the only difference being that it is now clad with weather-boarding. Most of the original windows are still in evidence, some having been discovered and exposed by the owner (as at 1992). John Deval was elected churchwarden for the years 1669-71 and could read and write, skills not possessed by all farmers at that time (12). Perhaps it was he who was responsible for the accounts being written up for 1669/70, after a lapse of ten years! He died in 1672 and was buried in Hawkhurst on 4th June. His will instructed his two sons John and William to sell the house and land for the best price they could obtain and to divide the money equally between all his children. Consequently the farm passed out of the family and presumably they moved out of the district shortly after. It is, however, a tribute to an industrious farmer of French descent that the name Duval is now attached to a farm in Hawkhurst over three centuries later. 9) Oasthouse Survey - private communication.